All your orders are only printed once your order is confirmed. We print all the product in Singapore and printing will take 1-2 working days. If you have further queries, please drop us an email at calljadx@gmail.com. Thank you! Please select. White Mug(+US$7.70) Magic Mug(+US$9.50) No Thanks. Very nice customised cup for my helper She likes it! Prompt delivery and very good quality. Buy definitely buy more from this seller. The cup came in time as a birthday present. Hope the receiver likes it. Fast reply from seller...a very reliable seller....could give preview of the mug...seller very patient with me for asking for a few preview due to changing design on the mug...thanks alot! Very happy once more. This is my third order and seller never fail me once:) Thanks again. Very helpful and kind seller! Highly recommended! Seller sent a picture of mockup in how image will look on cups before the cups are printed. Very professional. My second order, still very satisfied with the good service and the good resolution pictures in the mugs, thanks seller. This is the best delivery I have so far. So prompt, I received the mugs like almost the next day, and it’s of such good quality. I’m ordering a second set to gift my Friend. And first time I write such a Long review here. Thanks so much, for being patient too. I would like to order about 10 cups as farewell gift but all the designs will be different. Does this still qualify for free delivery? Will assist you from there. Sorry for the belated reply. Please kindly email to theimprintsg@gmail.com for the quotation. For 20pcs or more, the delivery will be waived. Hi, no more free shipping? Cos in December but I bought 2 mugs and shipping are free. You may email the image to calljadx@gmail.com. hi i would like to order 2 magic mugs. can i just send you the photo and text that i want to print on it? Upon image confirmation, printing will now take 1 to 3 working days and delivery take another 1 to 2 working days after dispatch. 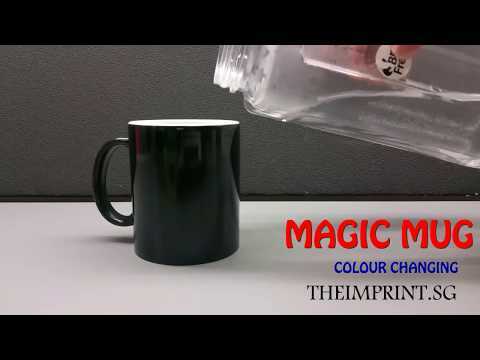 [MAGIC PHOTO MUG] Use your OWN photo ★★ Male/female handle available ★★ Pour in hot water and magic!